When I’m asked to review a product or service that includes new technology, I’m always a bit hesitant. You see I like simple and I tend to see many new products trying to solve a problem that really doesn’t need to be solved or will add another (needless) layer of complexity/frustration/distraction to the lives of cyclists looking to maximize their training. Power indication is a perfect example. Seeing our watts is a huge step and we see the value of all this information (metrics) about the amount of work we’re doing. Many of us are excited to use that data as the basis for improving our fitness. Collecting your data is a good place to begin. 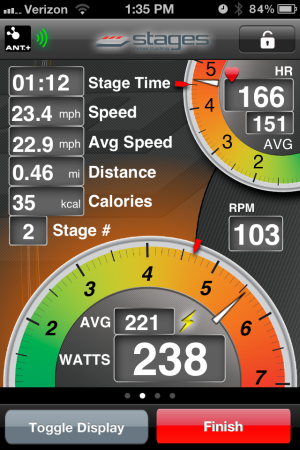 Both the FreeMotion and Schwinn Power Meter consoles offer the option to plug in a USB flash drive. After your training session you can download the ride to your computer to see what you’ve done. Which is interesting, about two times. Then you realize that looking at a snapshot of a single day isn’t really telling you anything of value. If you’re an Excel expert you can build a fancy spreadsheet to show graphs where you can see trends. Or you can subscribe to an online service like Training Peaks ($20 a month if you want the graphing features), upload your results and track your fitness. I see online services as an excellent choice for a committed athlete, but a bit over-the-top for the Club Athletes that make up the majority of our classes. Set up follows after the jump. The console uses Ant+ to communicate with other devices. 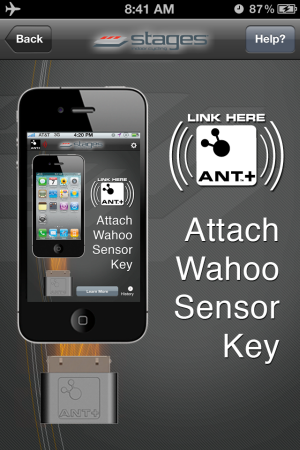 iPhones don’t “hear” Ant+ signals, so Cameron sent me a Wahoo Key – a little device that plugs into the bottom of your iPhone. 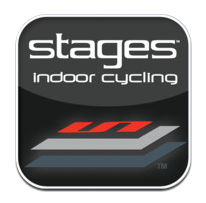 I then purchased the $0.99 Stages App from the iTunes store and installed it. 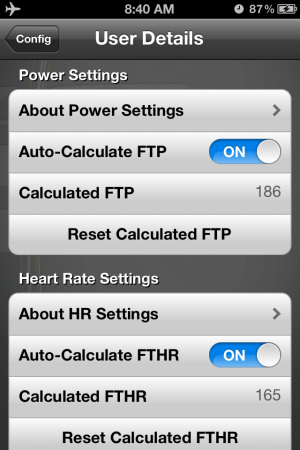 Here’s the setup screen where you can select to App to calculate your FTP or you can manually add it if known. There’s much more to this App and I am planning a Podcast with Cameron to explore all it’s functionality in more detail. 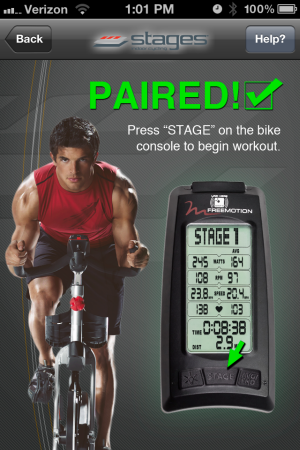 For more now please check out this Quick Start video and if you are teaching or training on a FreeMotion S11 series Indoor Cycle I highly recommend that you start using this App – ASAP.